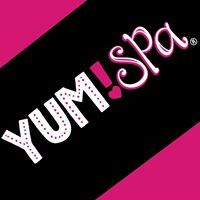 Splish Splash Into International Bath Day Fun with Yum Spa! My daughter loves anything pink and smelling and looking great! She i a girly girl and as a mom I love that. She is only two but I try to teach her now about brushing her hair, dressing up and just over all presenting herself nicely. If your kids learn at a young age to take pride in their looks it will follow them through adulthood and build self esteem. In my opinion it is every mothers job to teach their little ones proper hygiene in a fun way. 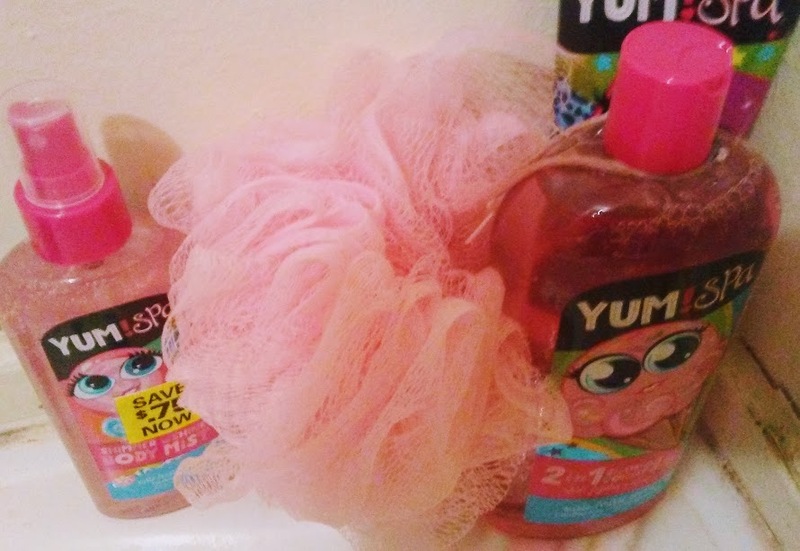 Yum Spa makes that easy with their new retail line designed for kids and available at Wal Mart. The line contains three products a shampoo and conditioner in one, sparkling body spray and sparkling lotion. The Yum Spa line is scented in tutti frutti and the lotion and body spray has glitter adding a splash of sparkly fun for kids. It isn't too strong and is just right for little girls wanting to dress up and smell their best. June 14th is International Bath Day and as most of my fans know I love anything bath and body so does my daughter! I have passed that much on to her! Yum Spa is the perfect way to celebrate International Bath Day with your little one. This line doesn't necessarily have to be just for girls little boys could also enjoy the Tutti Frutti scented shampoo and conditioner in one. My boys used it and loved it! It is just a fun, clean scent that is wonderful for kids.